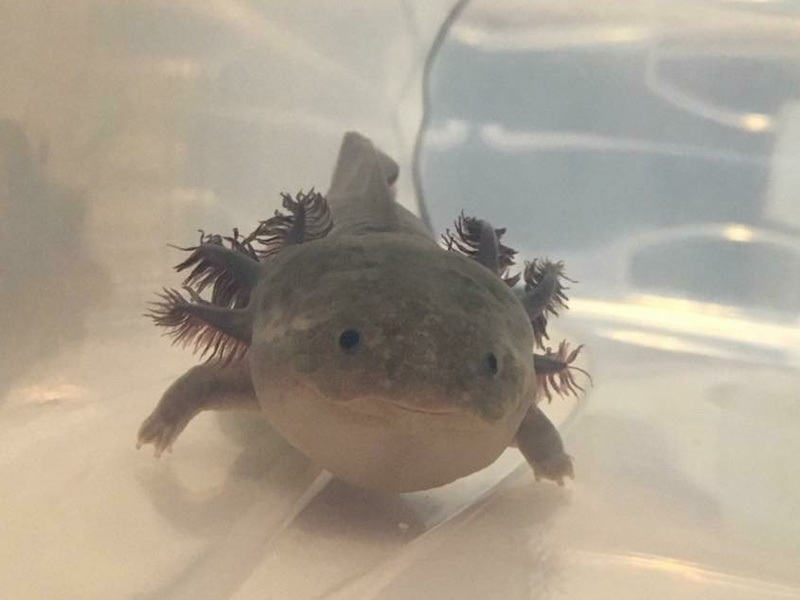 If your axolotl is slipping on the glass, your water flow is too strong. 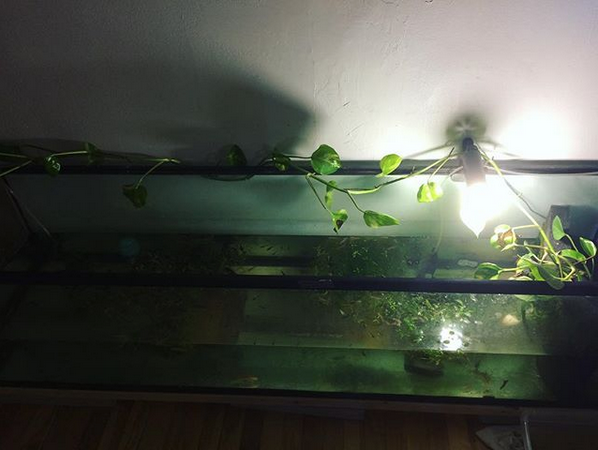 Your axolotl should be able to walk along the bottom of the tank without sliding or slipping. Absolutely not! Remember: if it’s smaller than their head, they will ingest it; if it’s larger than their poop, they won’t be able to pass it! Although they both enjoy similar water conditions, these two species are not a good match. Axolotls are not very good at catching fish, but given the chance, they will eat any fish that fits in their mouth. Goldfish aren’t safe for axolotls either, as they tend to nip at their gills. Their bones can also cause impaction due to their size. 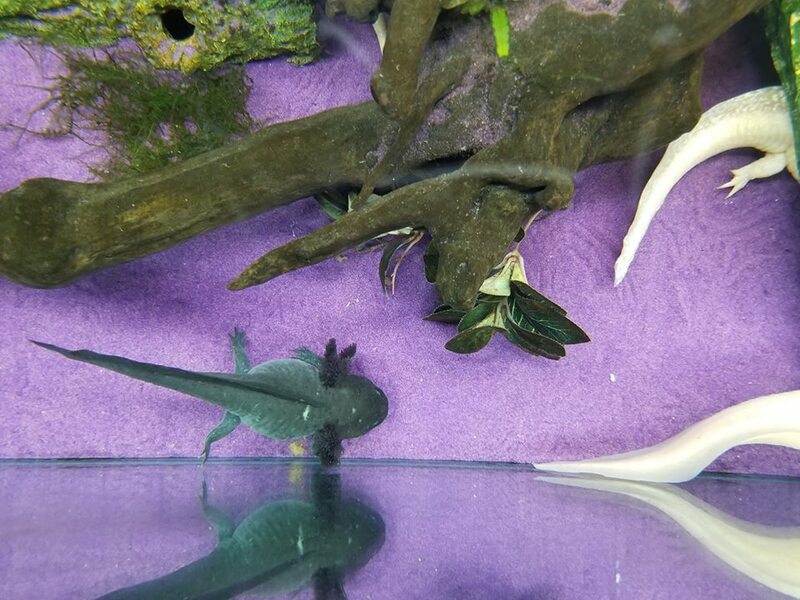 Again, axolotls are not good hunters. If live fish are the only option on the menu, they will most likely starve. 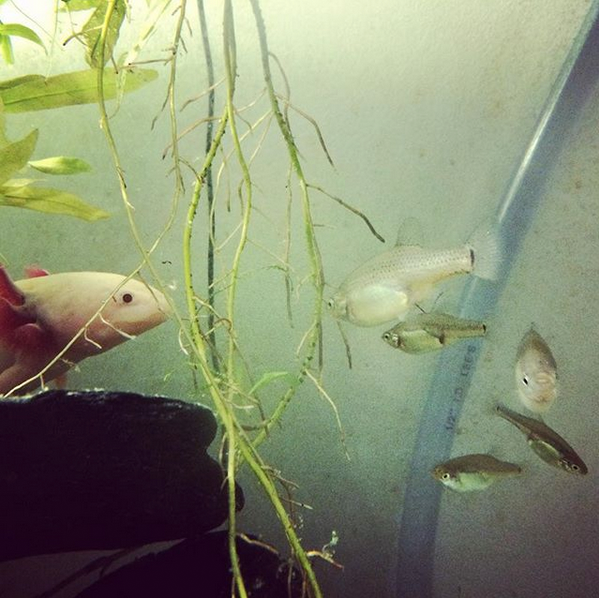 Bloodworms are a fatty, low-protein snack. 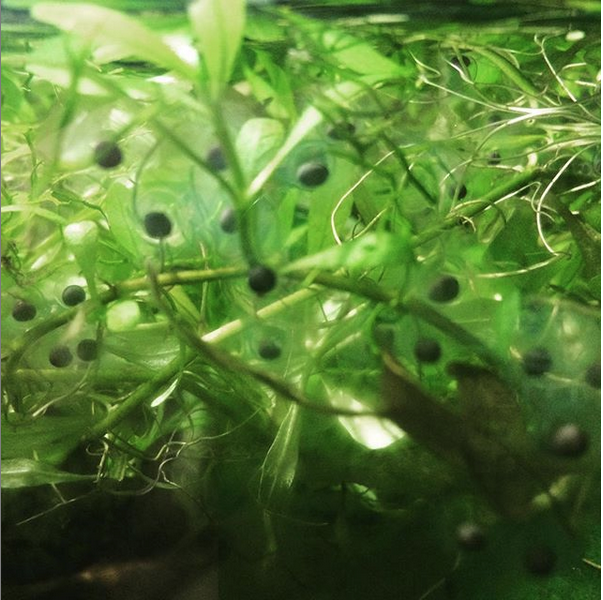 Think of them as the french fries of the aquatic world. 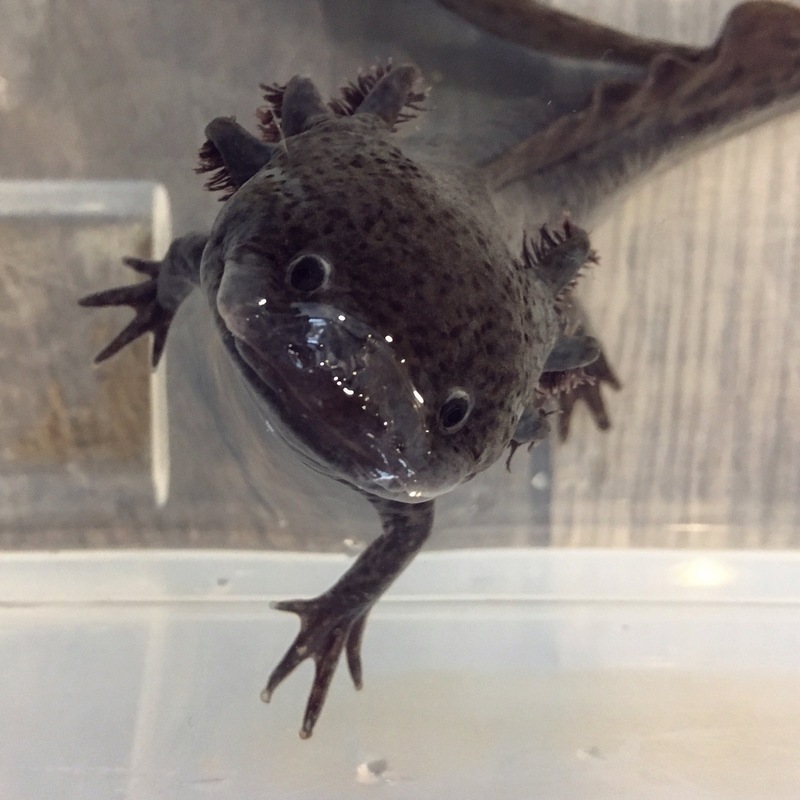 Axolotls who are fed nothing but bloodworms for an extended period of time become emaciated and tend to bite off their tankmates’ limbs. Unfortunately, indian almond leaves and black tea have no effect on pain. The tannins they release do have mild antibacterial and antifungal properties, however. 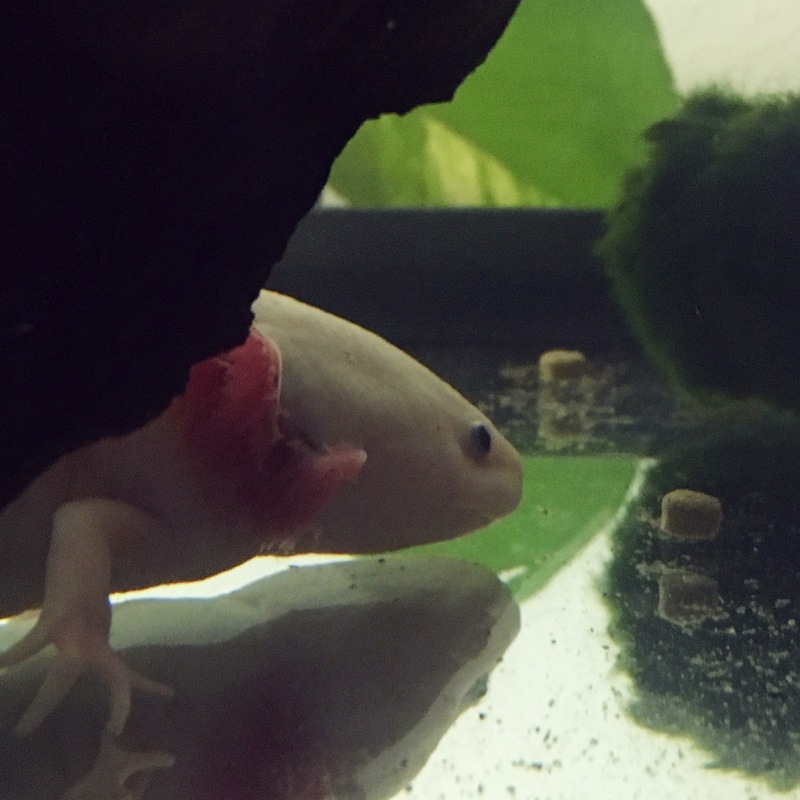 Myth #8: If you see fungus on your axolotl’s gills, you should pull it off or remove it by rubbing it with a Q-tip. Please don’t do this! By pulling out the fungus, you are literally ripping out living flesh, which is extremely painful. Just allow the fungus-infected gill tissue to necrotize and fall off on its own. First of all, you shouldn’t use antibiotics on an axolotl unless you know which bacteria you are fighting against. 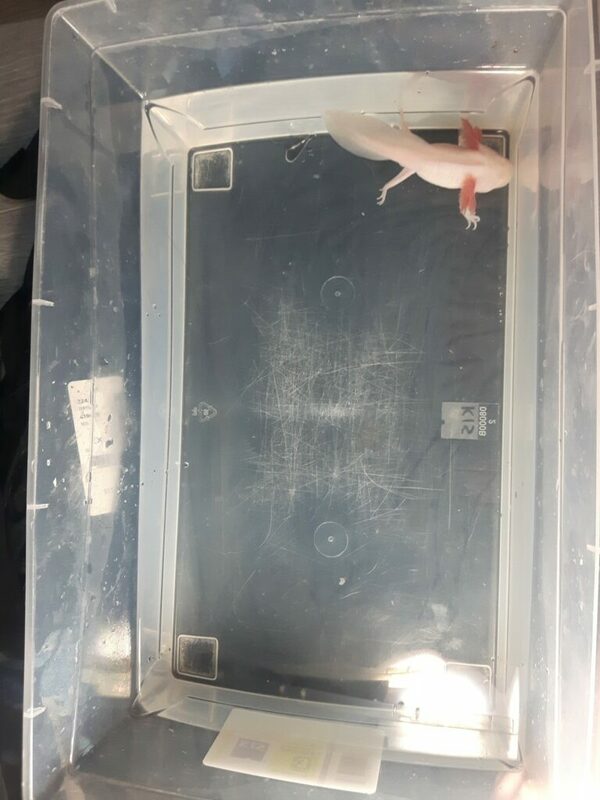 If you suspect that your axolotl has a bacterial infection, please ask a veterinarian how you can send in a sample for identification. Secondly, there is no guarantee that a fish-safe medication will be safe for axolotls. Unless a scientific article or veterinary account confirms that a medication is safe to use on amphibians, please assume that it isn’t! Finally, by reducing the dose of the antibiotic, you run the risk of creating new strains of antibiotic-resistant bacteria. When treating with antibiotics, always follow dosing instructions and administer the treatment for its entire duration, even if the symptoms are gone.